Android 4.2.2 Jelly Bean based official Slim Bean Build 8 final ROM is rolled out for all the supported devices including Galaxy Nexus S GT-I9020 from the last few days. However, this is an aftermarket custom ROM build by one of the popular Slim Bean and not an official firmware for Galaxy Nexus S I9020. 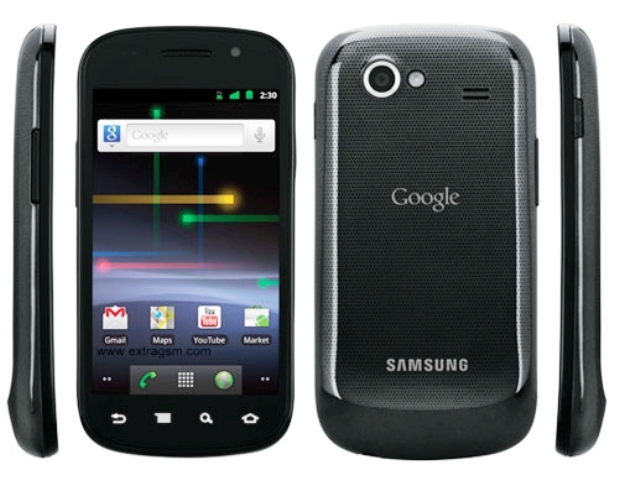 SlimBean ROM’’s are well known for their smooth, lightweight and fast operation. Slim Bean team started working on making Android 4.3 Jelly Bean based custom ROM and currently rolled out Android 4.3 Beta 1 for many devices as the Android 4.3 Jelly Bean was officially out now. The Slim Bean build 8 is the final stable version based on the Android 4.2.2 Jelly Bean before the Android 4.3 based ROM. Lots of bug fixes and changes made in this latest build as reported in the weekly builds by various users. You can check complete changes and features of Slim Bean Build 8 later part on this tutorial. So, read through this page to know the step-by-step procedure if you willing to try out the compressed and fast custom ROM Slim Bean 4.2.2 Build 8 for your Galaxy Nexus S I9020. Now, using USB cable connect your Galaxy Nexus S I9020 to PC and then mount your storage first. Once you manage access your smartphone’s SD card content from your computer, to the SD card of your smartphone copy downloaded zip files. Important: Don’t extract any file. Disconnect USB and then turn off your smartphone, once you finish file transfer procedure. Now Boot into recovery mode. To do so, press and hold Volume Down, Volume Up and the Power button, until the screen flashes continue to hold all three, and then release all buttons. [Use volume buttons to scroll and to select use the Power button]. You can also try this: Recovery Mode without Key Combination. It’s important to perform a Nandroid backup of your existing ROM as mentioned before that you can restore later if you want to go back or this new ROM does not work. To perform a Nandroid backup, select Backup and Restore, then select back up again on the next screen. After backup process is done go back to main recovery menu. It’s time to perform some wiping task to eliminate clash between previous ROM and new ROM. To do so, first select wipe data/factory reset, and to confirm your action then select yes on next screen. Till the data wiping process done wait for a few minutes. Now come back to CWM recovery main menu. Wiping cache partition process starts after you select wipe cache partition and after that is completed, under advance option to perform Dalvik cache wiping select Wipe Dalvik Cache. It’s safe to move into next step when all done. Select install zip from sdcard, and then from sdcard select choose zip. Now, locate the Slim Bean 4.2.2 Build 8 ROM zip file that you had earlier copied in Step 3 and select it by pressing Power button. And soon the ROM installation procedure starts after you confirm installation on next screen. Repeat the step 8 once the ROM installation process end but choose Slim Bean Gapps zip instead of ROM zip to install the Google apps package. You should go back to the main recovery menu and select reboot system now to reboot the smartphone when all done. However you should note the first boot usually takes time which is about 5 minutes as the smartphone will boot into this new ROM (max 15 min or else it means stuck on boot screen).